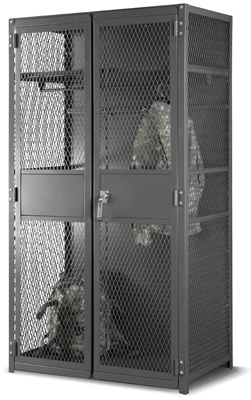 Our TA-50 Lockers provide open, but secure storage of personnel individual equipment. Bi-parting, center-meeting doors feature a high security 3-point locking system. Easy assembly: TA-50 Locker components are welded and pre-punched for ease of assembly. All hardware supplied.